Special Introductory Price with Free Shipping! Features dual electrically-powered rotating ceramic decks with all-stainless steel construction - this professional oven highlights accomplished engineering and inspires cooking perfection. 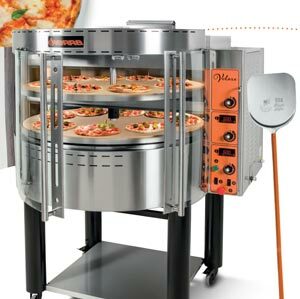 Designed for multiple applications including pizzerias, restaurants, airports, hotels, bistros, markets, and schools. 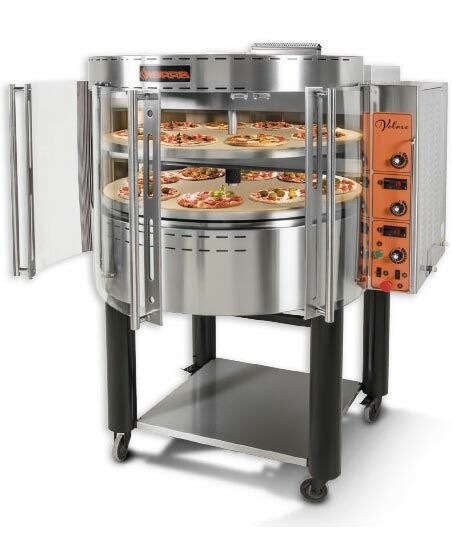 This 82,000 BTU oven can bake up to 160 medium-sized (12 inch) pies per hour, while staying true to the quality and taste desired and keeping up to your highest demands.